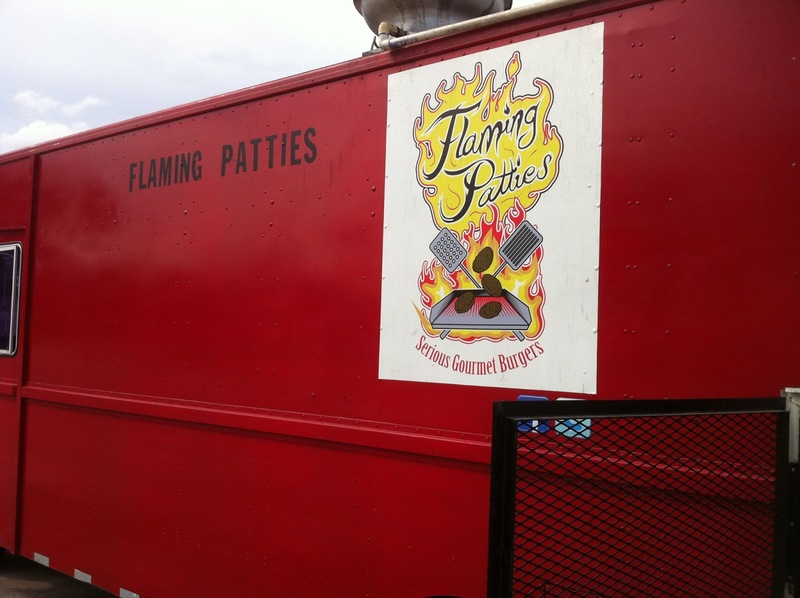 I think this is one the Flaming Patties signature burgers. A nice thick burger with lots of blue cheese stuffing, topped with more Gruyere cheese caramelized onion, and chipotle mayo. Instead of lettuce plenty of arugula (I hate iceberg lettuce, so whenever its left off, I'm for that!). 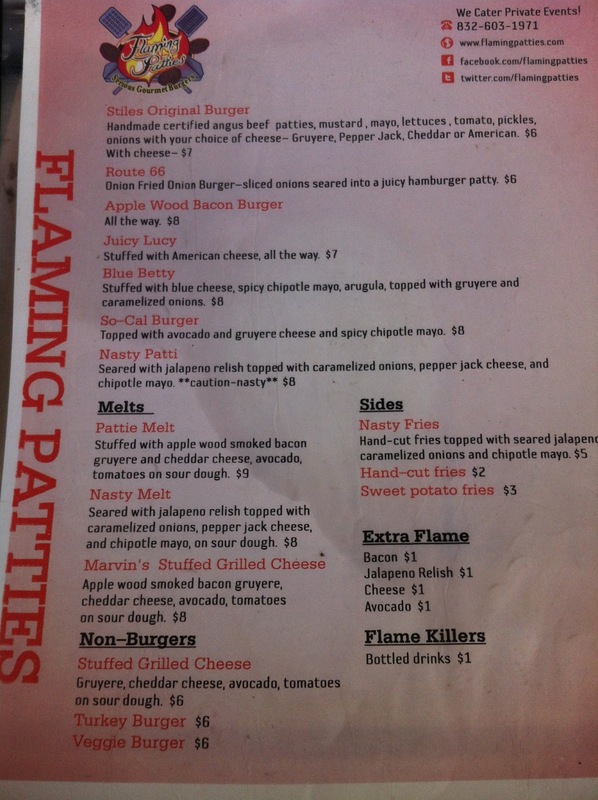 The burger is well cooked through but the blue cheese stuffing leaves it still nice and juicy. Love the Gruyere and caramelized onions. The peppery bite of the arugula counters all that rich cheese. The chipotle mayo add just a touch of heat. Synopsis: You'll be whistling a happy tune and not singing the blues after this burger. Hand cut sweet potato fries, fried nice and crispy so the crispy lasts. I had to travel before trying these fries and they were still good and crispy 20 minutes later and nice and moist inside. 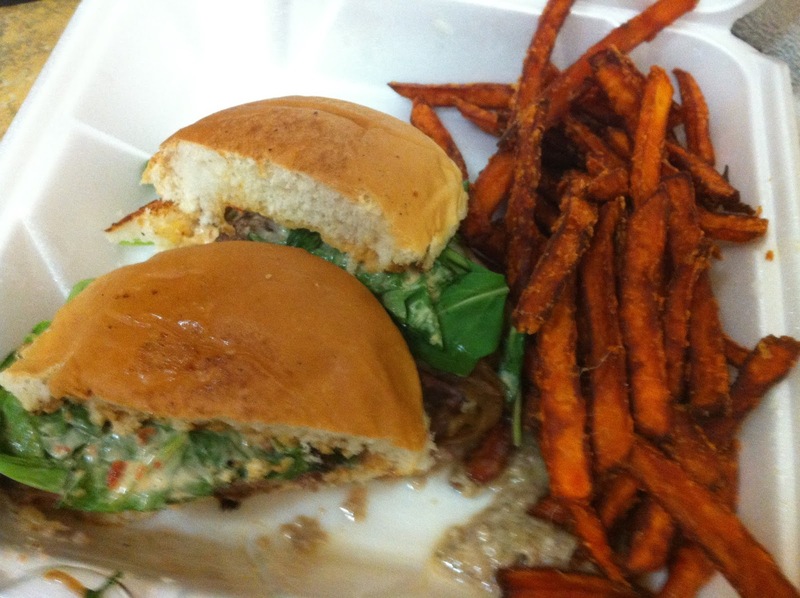 Synopsis: Maybe the best sweet potato fries in Houston?